The use of Single Crystal Sapphire, as a high quality original opto-mechatronic material in the information age, is growing rapidly because of its excellent mechanical features such as stability and optic permeability. Sapphire has the property of extremely high hardness but very low impact strength. LED chips have the above structure but because the sapphire substrate is susceptible to stress there is the fear that it can easily be damaged. Because of this inherent characteristic the wafer cannot be diced with a diamond wheel. Scribing is used for this purpose. 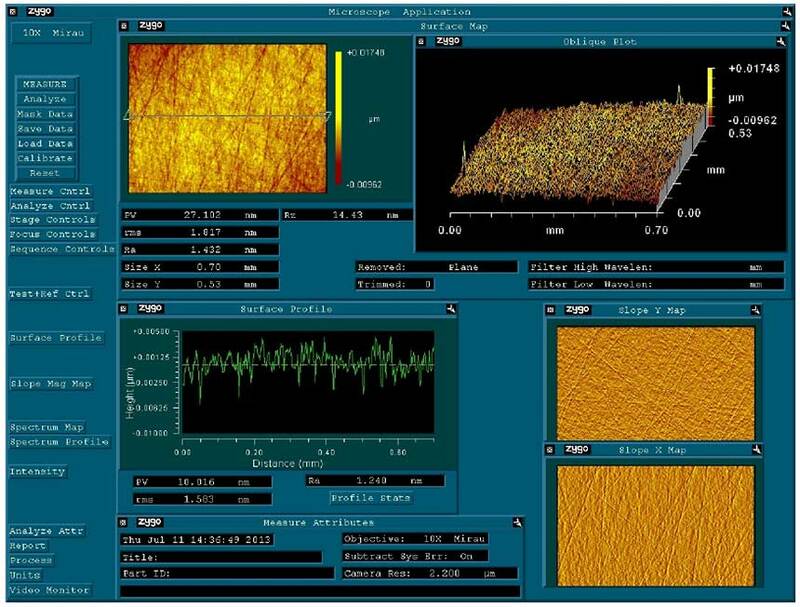 In order to produce a wafer thickness suitable for scribing we must perform back-grinding, followed by lapping and polishing. Because the final thickness of the wafer is about 80um it is very weak and it is very important to keep it from breaking. As this back-grinding/lapping/polishing is the final manufacturing process it has a great effect on yield. These final operations demand machines and processes of high accuracy, high efficiency, and high stability in the manufacturing method. 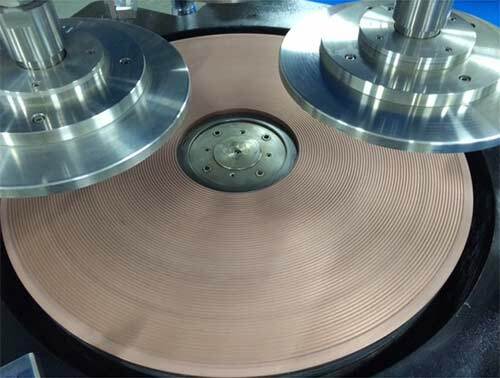 Kemet has developed a series of metal-composite lapping plates to shorten the lapping and polishing process and reduce the number of reject parts. The Kemet Copper SP2 Plate is a metal / resin composite containing finely graded copper powders. It was developed for the sapphire lapping market to produce repeatable stock removal of up to 2μm per minute. This is a harder version of Kemet Copper SP2 which gives a faster removal rate. This gives the fastest removal rate. The Kemet Iron SP2 Plate is a metal / resin composite containing finely graded iron powders. It was developed for the sapphire lapping market to produce repeatable stock removal. Kemet XL Composite Polishing Plate gives good stock removal, whilst producing high quality surface finish and flatness with Kemet Diamond Slurries. Produces superb surface finish with excellent flatness. Easy to machine – Free-cutting plate formula gives chip-free edges on grooved patterns. Double-sided lapping with Boron Carbide #240 abrasives on cast iron plates to achieve the required thickness and surface roughness. Single-sided lapping with Kemet SP2 plate with either 3 or a 6 micron diamond slurries. Single-sided CMP process with polyurethane or poromeric pads with colloidal silica slurries. Single-sided diamond wheel grinding (also known as back grinding). Single-sided lapping with Kemet SP2 plate with 3 or 6 micron diamond slurries, (for this application, most of the LED manufacturers stops at this process stage). 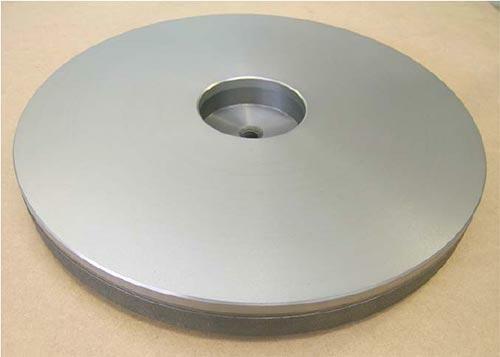 Double-sided lapping with either boron carbide #400 abrasives on cast iron plates or fine grinding wheels. Single or double-sided machines process with Kemet Copper SP2 plates with 3 or 6 micron diamond slurries. Single or Double-sided CMP process with polyurethane or poromeric pads with colloidal silica.